Frederick E. “Pinto” Beals, IV, age 67, died on Saturday, March 23, 2019. Pinto was surrounded by his loved ones at Holy Family Hospital when he passed away. F.E. “Pinto” Beals was born in Brockton, MA. He was the beloved son of the late Frederick E. Beals, III and June I. Hunt Beals. He grew up in Billerica, MA with his surviving brothers and sisters, Linda Martin, Joseph Beals, Dale Beals, Robin Beals Gupton, and Melissa Beals. Pinto was a determined, dedicated man. 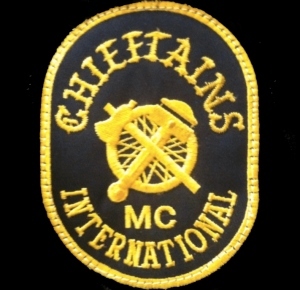 He was a lifelong member of the Chieftains M.C. and wore his colors with pride. Pinto was a proud man who loved with all of his being and poured it all into his family, friends, and brothers. He was a legend in so many eyes and will be greatly missed here on Earth. RIDE ON. Pinto leaves behind his wife Michelle Evans Beals, his 3 daughters, 2 sons, 10 grandchildren, a great-grandson, and many nieces and nephews. Relatives and friends are cordially invited to calling hours Friday, March 29, 2019, from 3:00 to 7:00 PM at the Dewhirst & Boles Funeral Home, 80 Broadway, Methuen, MA 01844. A funeral service will be held Saturday, March 30, 2019 at the Funeral Home at 10:00 AM, followed by burial in Fox Hill Cemetery, Billerica, MA.